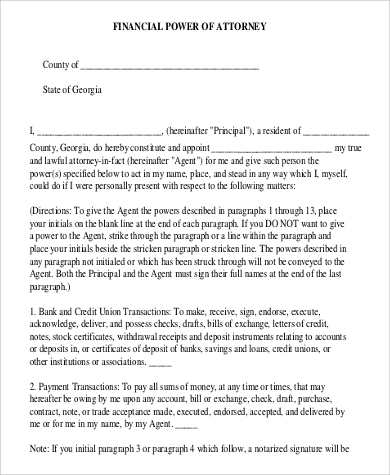 The power of attorney is a legal document that authorizes a person to act in behalf of you. The person who is given authority is called an attorney-in-fact while the grantor is called the principal. 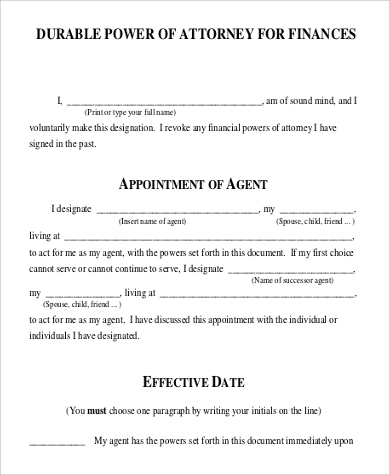 A power of attorney gives the attorney-in-fact the power over the principal’s private affairs, financial affairs, or other legal matters that the principal might not be able to attend to. There are different types of power of attorneys. 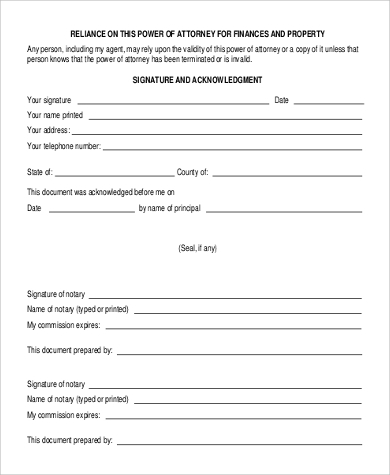 If you are planning to appoint an attorney-in-fact to look after your affairs, see these Sample Forms first to review so you may know the scopes of the authority that a power of attorney covers. 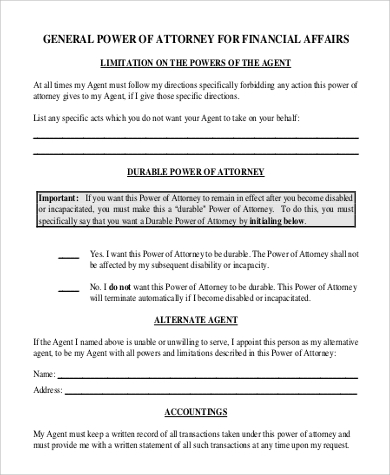 A Special or Limited Power of Attorney limits the power of the attorney-in-fact to specified acts. 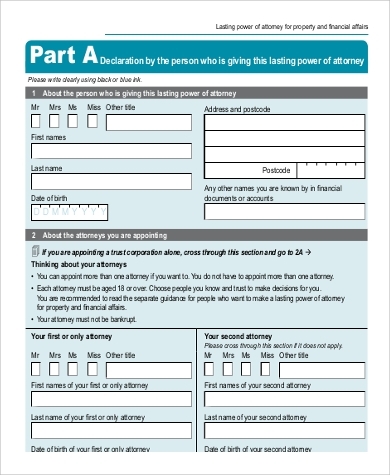 See these Sample Limited Power of Attorney Forms for guidelines on this type of appointment. 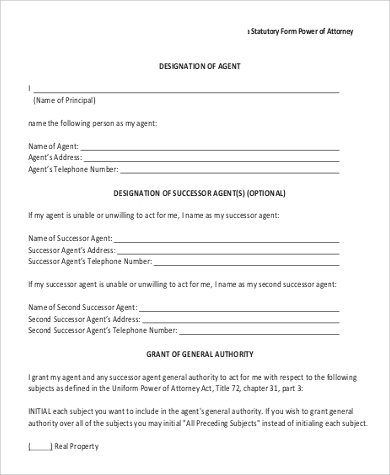 A General Power of Attorney is when a principal gives the attorney-in-fact the power over all the principal’s affairs, including private and financial affairs. A Durable Power of Attorney becomes ineffective once the principal dies or becomes incapacitated and thus, is unable to grant such a power. This can be overridden if the principal specifies that they wish for the attorney-in-fact to retain the power even in the instance of their incapacitation. 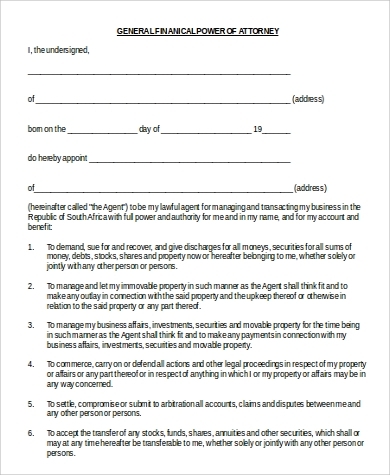 See these Durable Power of Attorney Forms for an in-depth discussion of this type of appointment. a couple whose relationship is not recognized by the laws of the land appoints each other as attorneys-in-fact whose powers extend despite the principal’s death and incapacitation so they may have authority over each other’s private and financial matters should one partner become ill, incapacitated, or deceased. The parties involved. Make sure that the complete legal names of the principal and the attorney-in-fact are written. The extent of the power of attorney. 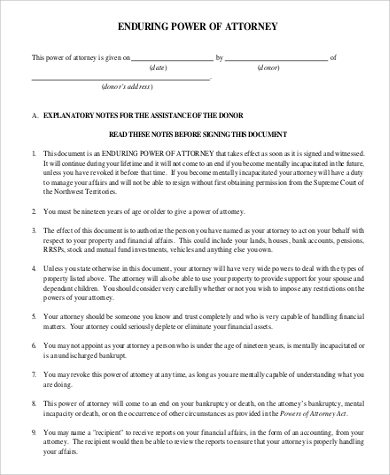 Mention exactly how much power you are granting the attorney-in-fact. 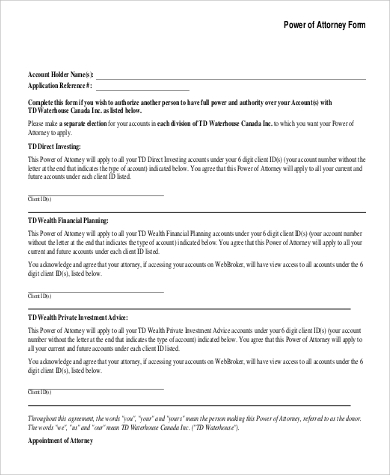 In a financial power of attorney, specify whether you are giving the attorney-in-fact access only to certain bank accounts, a certain amount or business, or to all your finances. 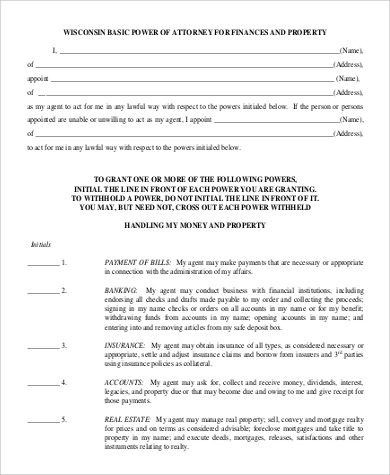 For other types of power of attorney forms, also see these Sample General Power of Attorney Forms.